Many people keep asking how to extract MP3 audio from YouTube videos so that they can enjoy high-quality audio files on whatever devices they prefer, especially in an offline state. Bearing this in mind, I have summarized top 10 YouTube to MP3 converter apps in this post for your reference if you are looking for some practical suggestion on both paid and free YouTube to MP3 converters. If you are expecting for a really great and powerful program to convert YouTube to MP3, try below top 5 YouTube to MP3 converters. Honestly speaking, this program is more than a video converter; in fact, it consists of below functions in a program suite – convert and download videos/audios; burn videos to DVD/Blu-ray, rip and convert Blu-ray/DVD to videos; create 3D movies; edit and play media files, etc. It provides more than you expect to facilitate your desire to convert files from one format to another and have the best quality reserved after conversion. Best of all, this program does not set a limit on the file quantity to process. It is totally unlimited and you can convert as many files as you wish. By the way, you can directly get MP3 from YouTube within the same program by using its built-in downloader – Leawo Video Downloader. Click here to get it installed on your PC right now. This software is available for audio extraction from YouTube. That means it is fully capable of extracting MP3 audio from YouTube video in a reasonable way. It supports both Mac and Windows. Users can select which one to use based on their systems. Click here for details. This app is also a good option for you to get MP3 from YouTube. To save YouTube video for offline listening, it handles this pretty fast and is well received among users. It also provides multilingual service for users from different cultural backgrounds. Speaking of its overall performance, it is worth your try. Click here for details. This software program is developed to convert files, download video/audio files from popular websites, and burn videos to DVD etc. Generally speaking, it works fast as long as if the network connection is good. 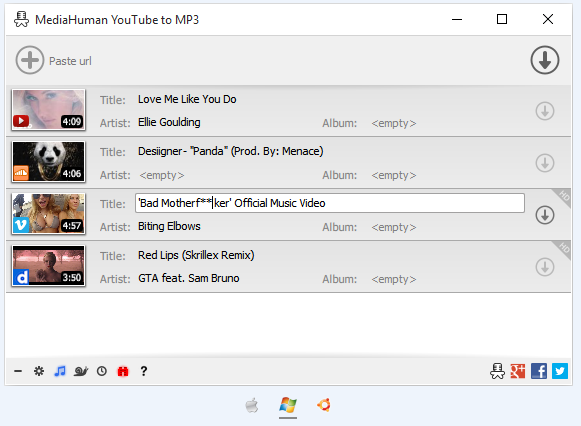 Similar to other programs, it is capable of downloading YouTube videos and convert them to mp3 files for offline streaming. Click here for details. 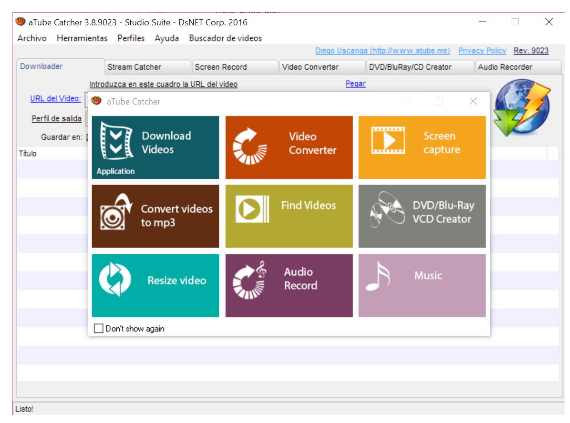 This software can be used to convert the downloaded YouTube videos to mp3 via the built-in Video Converter. Though it is not able to directly download and convert YouTube videos to mp3, it is still valuable in video conversion. Give it a shot if you like. Click here for details. 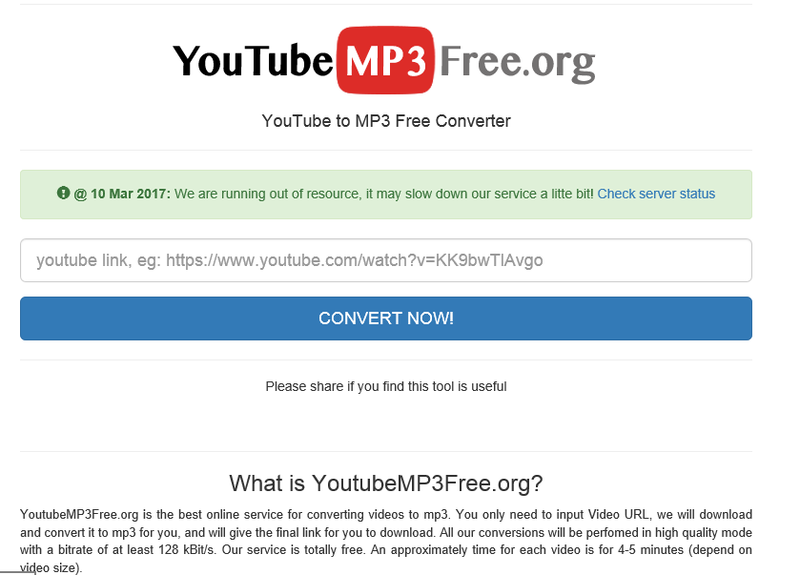 If you are looking for some free YouTube to MP3 converters, the following top 5 online YouTube to MP3 converters are ready for you to try. But bear in mind that these free programs may or may not allow users to access all of its features and may have limitations on free files. This program is developed to convert different files to mp3 solely. It supports YouTube, Facebook, Vimeo, Dailymotion, VK, Instagram, Metacafe, Soundcloud, AOL and so on. Users do not need to worry much about how to use this app. It is self-evident with detailed instructions on its home page. Click here for more details on this app. This app works as a free YouTube to MP3 converter, letting users to paste a URL of YouTube video and extract MP3 audio from YouTube video. Finally it requires users to download the converted mp3 file from the app. Click here to read more. It is an easy-to-operate app, focusing on converting YouTube videos to mp4/mp3 based on users’ requirements. With simple steps to follow, this app is acceptable if you would like to get MP3 from YouTube. Keep in mind that this app requires a video with up to 2-hour length. Click here for more information. This app is pretty funny as a free YouTube to MP3 converter. 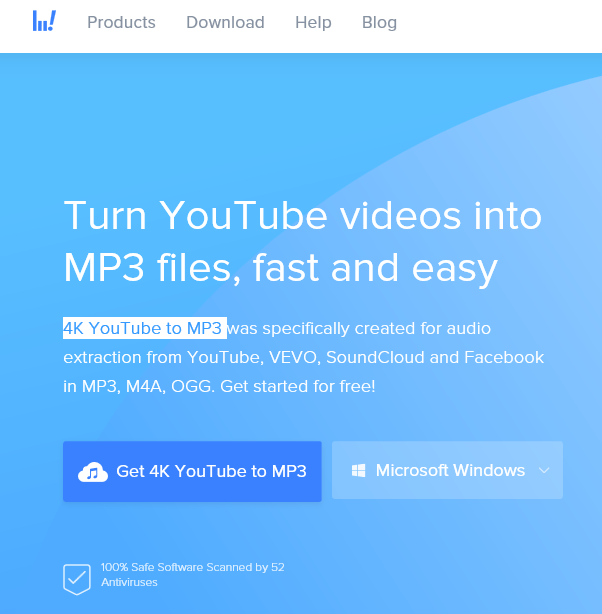 It does not tell much on its website but it can help users to download YouTube videos and convert them to mp3 afterwards. If you are looking for a quick to act app, it is exactly what you need. Click here for more details. This app is very similar to the above several free YouTube to MP3 converters. It allows you to convert and download your favourite videos from YouTube, Dailymotion and Clipfish in a format like MP3, MP4 and more. It’s fast, free and there is no registration needed. I hope the above top 10 YouTube to MP3 converter apps will be of help to you. If you are a frequent user for extracting MP3 audio from YouTube video, I suggest you try YouTube to MP3 converters such as Leawo Video Converter Ultimate or Wondershare Video Converter Ultimate as they have better performance than the rest ones. Enjoy and have fun.